Online optimized press releases are a promotion and SEO tool that is even more beneficial now because of Blended Search results. In this post: 4 reasons to submit optimized online press releases, the short term and long term benefits, plus tips and resources for writing and distributing online press releases. • Promotion. The primary purpose of submitting a press release is, of course, to get the word out about newsworthy topics to industry journalists and related web sites, bloggers, etc. who may run the story in print or online. • Increase targeted traffic to your web site from the press release sites themselves (such as prweb.com), search engines, online news sites such as Google News, Yahoo News etc, as well as the hundreds and sometimes thousands of sites that display headline news items, and traffic from sites that run your story. • Increased Link Popularity. Many of the sites that run your story will include a link to your web site. Some of these links may help improve rankings. Many of these links are short term; however some links are kept live for many months or even years (there’s more about this below). Again the primary purpose of a press release is to help get the word out about a newsworthy topic to industry journalists, related web sites, etc. who may run the story on their web sites or in print. Depending on the distribution service used, the press release typically gets indexed in Google News, Yahoo News, and other news sites within hours. The press release is then available to be found in searches on the words and phrases contained within the press release on these news search sites. This can result in significant numbers of people reading the press release. More people look for news items on these news sites than they do on the press release submission sites. Typically online press releases are also mentioned on hundreds or even thousands of sites that display news headlines. These links can entice people to read your press release too. The initial affect of an online news release runs its course very quickly. The majority of the “views” of an online press release take place within the first week. This is because the news search engines ‘skew” the position of news results in large part based on the date of the news item. A press release that may have ranked in position 1 for a specific search term in Google News on the first day may be off page 1 within days (depending on the competition for that search term). In addition, the sites that display press release headlines typically only display them for a day or two. Usually a press release is kept live on the press release distribution site for years. And some distribution services display a press release on multiple sites. The links to your web site from the press release can continue to bring traffic to your web site for years and may help improve rankings. Some industry related web sites, blogs etc may add the press release or parts of it to their web sites often including the links to your site that you included in the release. These “mentions” can remain online for some period of time (sometimes for years as they are often moved to archives). These links can continue to bring targeted traffic to a web site and they may help improve the rankings of the web page/site they link to. Within a few days to a month an online press release usually gets indexed into the main Google, Yahoo and other search engine databases. Once this happens the press release is available to be found in searches on the words and phrases in it. Of course how well it will do in these searches will depend on the competition for the phrases. As you roll out a campaign of press releases it helps to try to ensure that important media outlets are aware of the press release. If you use an Advertising/Marketing firm, check with them to see if they can help you build a media list of important media outlets. Typically they (or you) will send the press release to the correct contacts at each outlet early and follow up with them (A little personal touch always helps). Building up a media list like this over the course of a few press releases can dramatically improve your ability to promote your news items. Some months after a press release has been released search the web to try to identify what web pages still contain a mention of your online press release (Search on a few unique snippets of text from the headline and body of the press release). You can then contact the web site owner to start building a relationship with them if there’s a fit, consider other promotional opportunities with them (newsletter sponsorships, articles, advertising, etc) and add them to the media list. After you have a few press releases archive them on your web site, providing links to them so the search engines (and humans) find them. 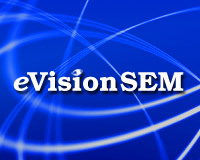 Mark Johnson has an article on Search Engine Watch with tips on creating an optimized press release and an overview of the key press release distribution services. Getting Press Releases and Article Ideas Accepted by Publications – Tips to get your press releases and article ideas noticed and accepted by publications (both print and online publications). Increasing Link Popularly With Press Releases – This is a case study that’s getting a bit old, is still worth a read. Universal or Blended Search Results: What is it? Optimization Tips including how News items are blended into the main search listings. Get Better “Organic” Search Engine Results! In a Site Audit we perform a very extensive analysis of your web site and develop recommendations you can implement to increase rankings and traffic from search engines.